A proposed project to construct a terminal in Longview, Washington, from which up to 44 million metric tons of Western coal would be shipped annually to Asian ports, hit another snag when a U.S. district judge dismissed a claim by the project’s sponsors (plaintiffs) that Washington State’s denial of a water quality permit for the project was in violation of the federal Foreign Affairs Doctrine. According to Judge Robert J. Bryan of the U.S. District Court for the Western District of Washington, the plaintiffs could not demonstrate that the state’s denial was preempted by a policy issued by the federal executive branch, which encouraged the export of coal. Bryan also rejected the plaintiffs’ argument that in denying the permit, the state was operating outside the area of traditional state responsibility. This is the second time Bryan has denied claims the plaintiffs filed against Washington State’s Governor Jay Inslee for blocking the project. The first claim was based on an alleged violation of the federal Ports and Waterways Safety Act. A third claim involving the Constitution’s Commerce Clause is pending. Inslee is seeking to end coal-fired electricity in the state by 2025. Inslee recently announced his candidacy for president. The Millennium Bulk Terminal project was launched in 2012 by Lighthouse Resources, a coal supply chain company, to meet the Asian demand for coal. The terminal would receive coal from the Powder Ridge Basin in Montana and Wyoming and the Uinta Basin in Utah and Colorado. BNSF Railway Company agreed to transport the coal to the terminal where it would be loaded onto vessels for shipment to Japan, South Korea, and other East Asian markets. In July 2016, Lighthouse applied to Washington State for the required Clean Water Act Section 401 water quality certification for the proposed terminal. Subsequently, a Final Environmental Impact Statement (FEIS) found that construction and operation of the project would adversely impact nine environmental resource areas. Several months later, the state denied the company’s application for the water quality certificate, citing the “unavoidable and significant adverse impacts” identified in the FEIS. Both Lighthouse and BNSF asked the district court to invalidate the state’s decision. Wyoming, Montana, Kansas, Utah, South Dakota, and Nebraska filed a joint amicus brief on behalf of the plaintiffs. The Foreign Affairs Doctrine has been defined by the courts as the federal government’s exclusive authority to administer foreign affairs. Bryan notes that state laws that intrude on federal authority are preempted under either the doctrine of conflict preemption or the doctrine of field preemption. The plaintiffs argued that both preemptions applied in this case. Under conflict preemption, a state action must yield to federal executive authority where there is evidence of clear conflict between the policies adopted by the two. According to the plaintiffs, this conflict originates in the Trump administration’s National Security Strategy Report (NSSR), Executive Order (EO) 13783 (Promoting Energy Independence and Economic Growth), and general remarks by President Donald Trump and others in his administration. 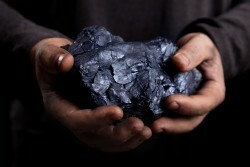 Both the NSSR and EO 13783 encourage the development and export of coal. But they also state a commitment to environmental protection. Accordingly, Bryan found that the development of the coal industry and the export of coal are not in clear conflict with the state’s decision. Federal field preemption can occur even in the absence of any express federal policy if the real purpose of a state action does not concern an area of traditional state responsibility and if that action intrudes on the federal government’s foreign affairs power. Bryan saw no such intrusion. Bryan’s order in Lighthouse Resources Inc. et al. v. Jay Inslee et al. is here.